sharp 4th & flat 7th in 1st octave. Expansion by Meeks, Watson & Co. 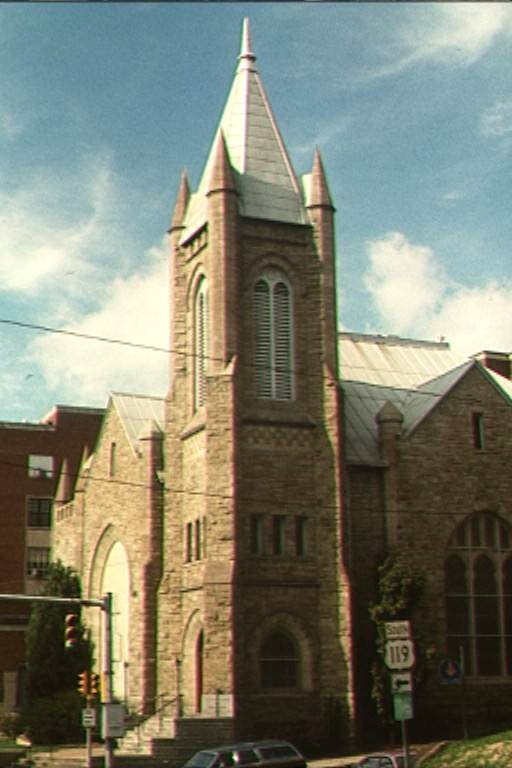 The church Website has a photo of the building on the home page. The bells are mentioned on the Historical Time Line page (in the Information section). Where the initial phase of this work lies in the sequence of output of the Vanduzen bellfoundry. Where the second phase of this work lies in the sequence of output of the Vanduzen bellfoundry. Index to all tower bell instruments in WV.